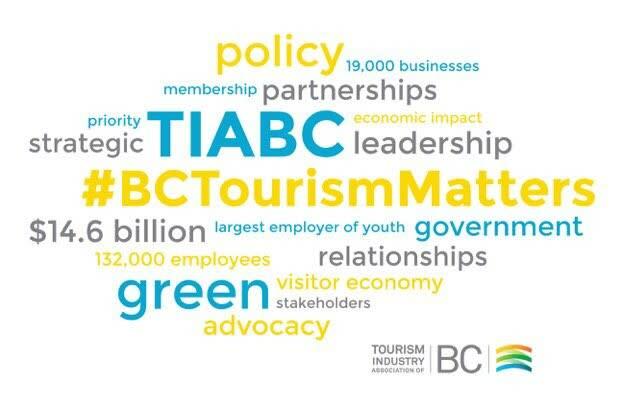 This past week, Kelowna was host to the British Columbia Tourism Industry Conference, presented by the Tourism Industry Association of BC (TIABC). 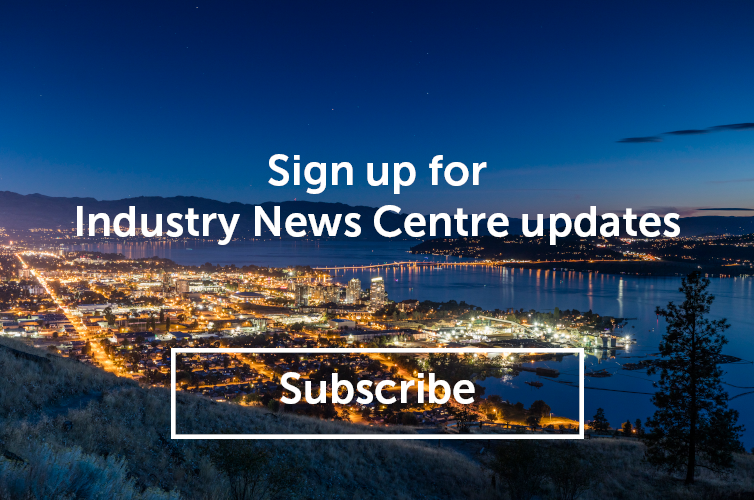 The three-day conference, held at Delta Hotels by Marriott Grand Okanagan Resort, was a huge success, bringing together hundreds of individuals from all areas of the tourism industry, including destination management, business, and government. The conference presented delegates with the opportunity to network with industry peers, sponsors, and government officials, including Parliamentary Secretary for Small Business and Tourism, Alaina Lockhart, and Minister of Tourism, Arts, and Culture, Hon. Lisa Beare. Pictured: Parliamentary Secretary for Small Business and Tourism, Alaina Lockhart, along with Tourism Kelowna volunteers Kathryn, Ken, and Kelly. Photo courtesy the Kelowna Daily Courier. 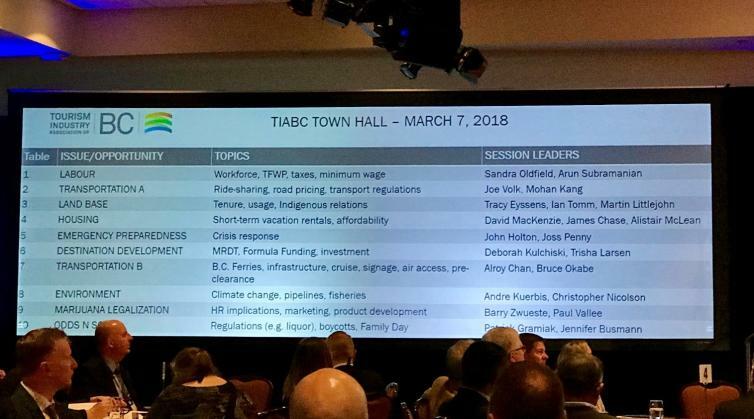 At TIABC’s town hall, attendees engaged in round-table discussions about a variety of industry issues and opportunities, including labour, destination development, and marijuana legalization. Through keynote speakers, industry presentations, and targeted sessions, delegates learned about current industry issues and trends. 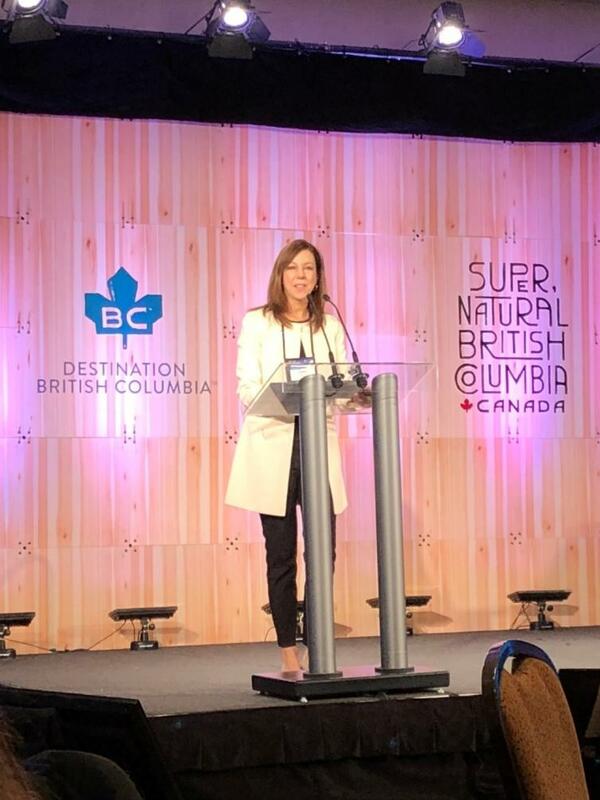 Destination BC, for instance, discussed technology’s impact on the visitor experience, the ways in which they are working to build a powerful marketing network within the province, and the launch of their new website later this year. 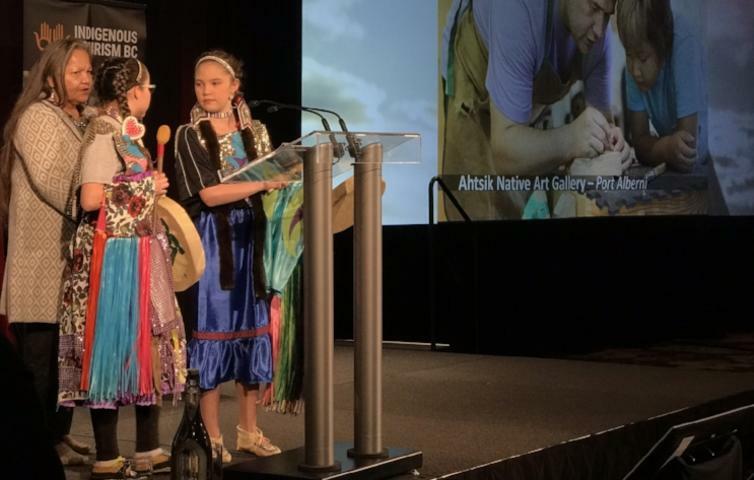 Keynote speakers included: Lital Marom, who discussed technology and the platform economy; Elder adviser, Indigenous leader, and Order of Canada recipient, Sophie Pierre, who discussed the importance of Indigenous tourism; and former Fire Chief, Darby Allen, who discussed the lessons he learned through his experience during the Fort McMurray wildfire in 2016. After the daytime programs, delegates celebrated at the Welcome Reception on day one and at the conference social on day two. During the Welcome Reception, Aboriginal Tourism BC, the evening’s host, announced that it will now be known as Indigenous Tourism BC. Guests were welcomed by Westbank First Nation Chief, Roxanne Lindley, and enjoyed several First Nation performances. Okanagan wine was served alongside the innovative fare prepared by the Delta’s culinary team. Pictured: Westbank First Nation Chief, Roxanne Lindley, along with two young, First Nation women singing the Okanagan Song. Bluestar Coachlines bussed delegates to Big White Ski Resort for the evening social, Oh What a Night! Welcomed with B.C. wines, beers, and ciders, delegates could take part in several outdoor activities before enjoying the delicious food stations and live entertainment in the Happy Valley Day Lodge. The final day of the conference included a presentation by Hon. Lisa Beare, minister of tourism, arts, and culture, who announced a $150,000 investment in B.C. wine and food, and the creation of the Minister’s Tourism Engagement Council. Following this presentation, guests enjoyed lunch while the B.C. Tourism Industry Awards were presented. We are proud to report that Bram Bolwijn, of Mission Hill Family Estate Winery, was awarded the Customer Service Award, presented by Go RVing Canada. The Tourism Kelowna volunteer team was a finalist in the same award category. Other local finalists included Okanagan Villa Estate Winery and The Paisley Notebook, both nominated for the Remarkable Experiences Award, presented by Destination Think! 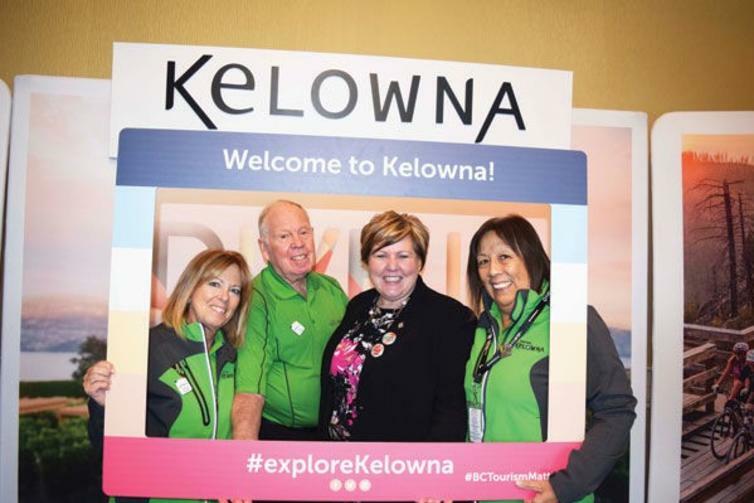 As a proud sponsor, Tourism Kelowna supported the conference organizers, set up an on-site photo booth at our mobile visitor services kiosk, and organized an activation at the Kelowna International Airport to welcome delegates. 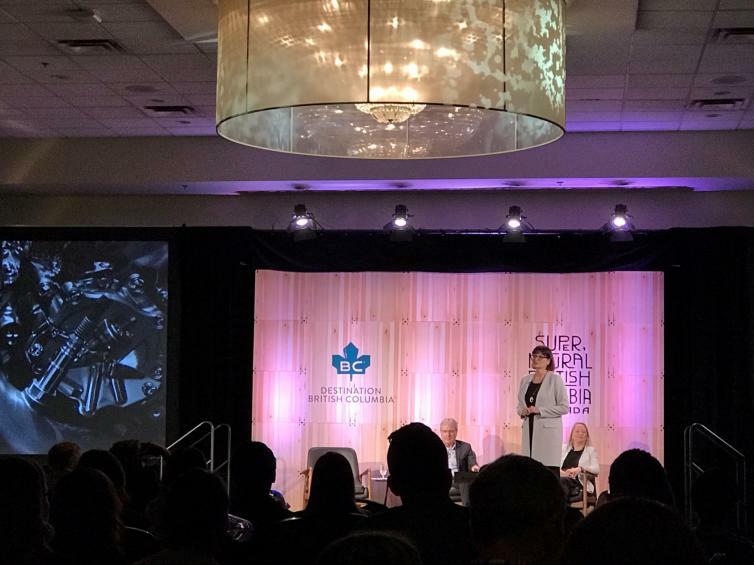 Team members attended the three-day conference, while President & CEO, Lisanne Ballantyne, welcomed delegates and introduced the keynote speaker on the second day of the conference.